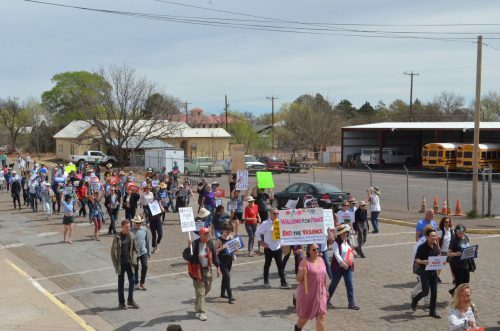 Students and community members from Marfa and surrounding areas gathered at the Presidio County Courthouse to march for gun control. 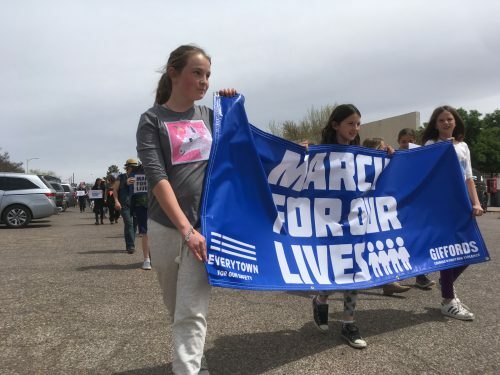 The rally — and others throughout parts of the state and country — was part of “March For Our Lives,” a student-led event held in response to the mass shooting in Parkland, Florida that left 17 students and staff dead. 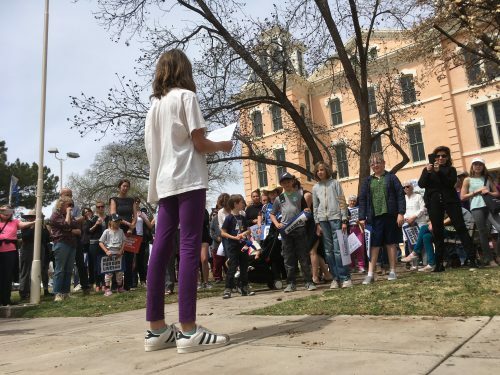 Marfa fourth grader Louise Culbertson organized this march with her friends. 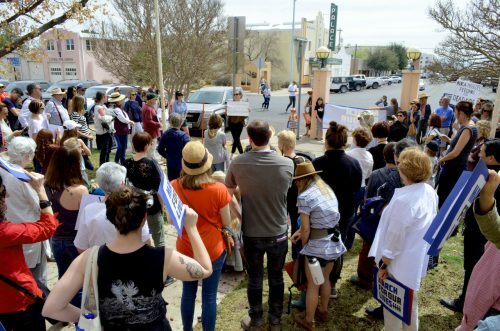 “When I heard the news that 17 students died from the Florida school, and I heard that so many people were marching around the world, I wanted to march here to support them,” says Culberson. 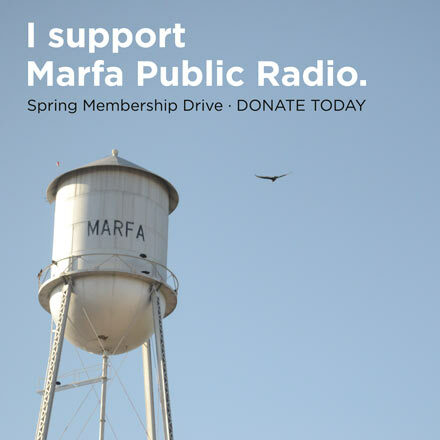 It’s a short walk from the pink Presidio County Courthouse, down the block to Marfa’s school campus. 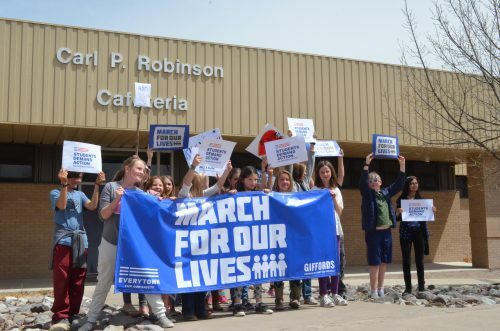 More than one hundred and fifty community members from across the region — including 30 students — made that trek. Many stressed they were there to protest the sale of assault rifles. Like Caelan Devine Ryan, a Big Bend High School student. “I’m not anti-second amendment but I don’t agree with people having assault rifles that are specifically meant to kill as many people as possible,” he says. School shootings aren’t unfamiliar in the area. In 2016, a high school student in the neighboring town of Alpine shot herself and injured one other. Nine-year-old Eden McHugh was in school that day. “It was full lock down,” remembers McHugh. “We couldn’t see what was going on…and a lot of kids were fooling around like, this is just a drill. No, it was really scary. 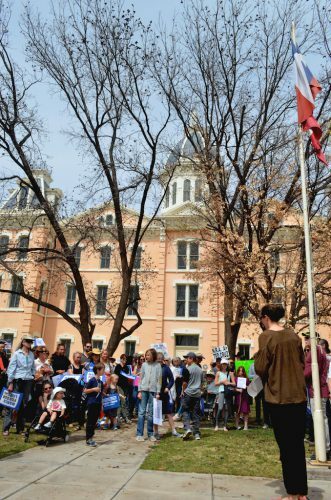 Marfa High School Junior Ana Guerra is worried violence in school is being normalized. She moved here from Mexico when she was 13. 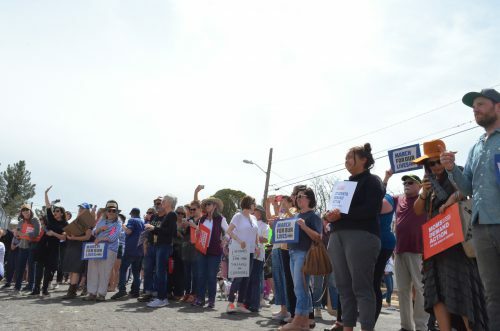 “All the shootings that happened when I was in Mexico were outside school, they never affect their school,” Guerra says. “And here, it’s something that you are fearing everyday. Guerra says she was expecting to feel safer in the US. 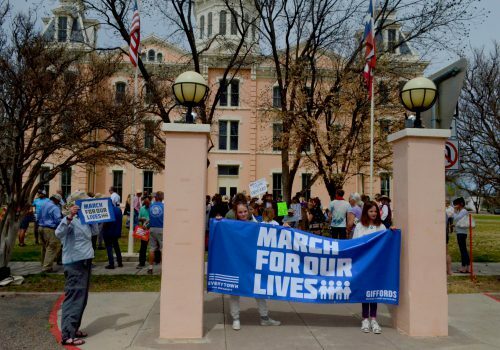 This entry was posted in KRTS News and tagged March for Our Lives, marfa, Marfa Myths. Bookmark the permalink.